The Japanese giant salamander is the second largest salamander in the world, growing up to 5-feet long. This detailed replica of the massive amphibian is made from soft vinyl and features 5 points of articulation for realistic posing, as well as detailed painting for a super-slimy feel. 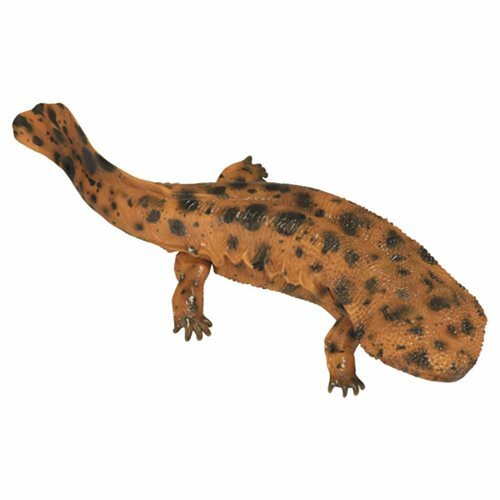 The lifelike Toy Box Japanese Giant Salamander Sofubi Vinyl Figure measures about 12-inches long and includes a hinged jaw for dynamic chomping action!